Safe, pain-free, non-invasive – 3 sessions and you’re on your way! Lasers act on acupressure points for dramatic results. Professional treatments customised to your requirements. Don’t delay your future good health. Contact us today! Are you committed to giving up smoking? But feeling helpless after trying every quit-smoking remedy on the market? 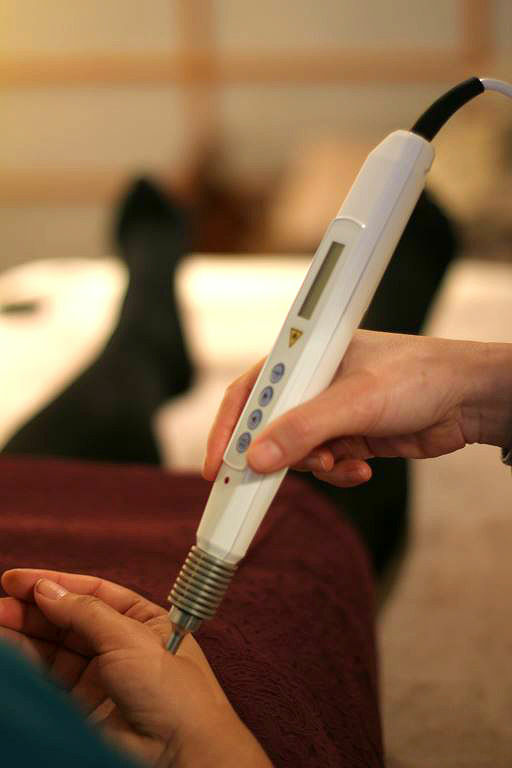 Our laser acupressure therapy is based on traditional Chinese medicine and acupuncture. In Chinese medicine we recognise meridians or channels flowing through the body, each channel relating to a specific organ. Our Stop Smoking program treats the organs and channels directly linked to smoking, which are primarily the lungs and heart. We also treat addiction points on the body – hands, forearm, ear and face – to help with the physical craving for nicotine. In addition the laser acupressure will help reduce your stress, which is often a trigger for smoking. The treatments are completely painless and cause no damage to the cells in the body. And most clients can claim a private health fund rebate (not to mention the money you’ll save on cigarettes). No needles, patches or mantras – just a pure form of light energy combined with your serious motivation to quit. Call 0400 331 321 or email us today! We’d love to hear from you – and help you get started on the path to a smoke-free life.